I’ve been dying to make a Lemon Chess Pie f-o-r-e-v-e-r. Finally I decided to do it…but made them mini instead. Mini food is the best food, after all. Sooooo, you know how I’m obsessed with lemon times one trillion? 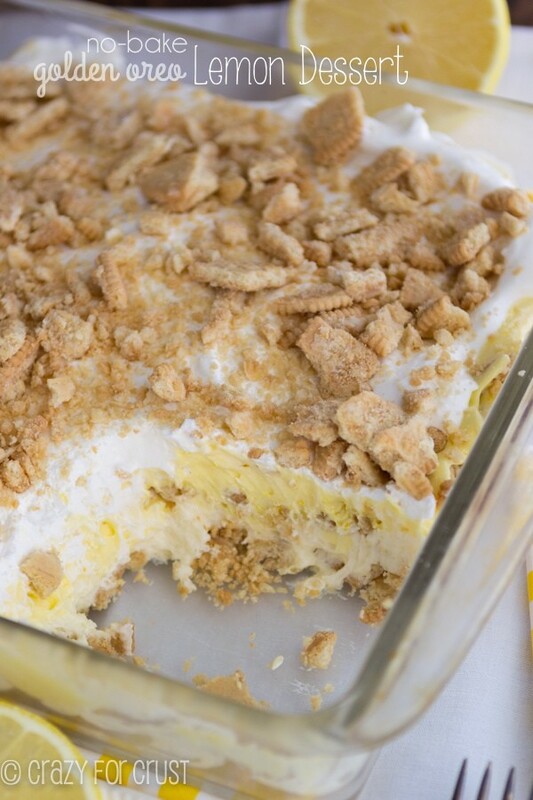 It’s like I’m making up for all the (crazy) years that I swore I hated lemon desserts. Let’s just agree that that time in my life should be banished and never spoken of. And that I’m going to post something lemon every month to make up for it, mmkay? There’s someone else in my life who is even more obsessed with lemon than I am: my sister-in-law, Katie. Whenever I ask her want dessert she what she shouts lemon faster than Jordan shouts mint chip. Family gatherings are fun in our family. 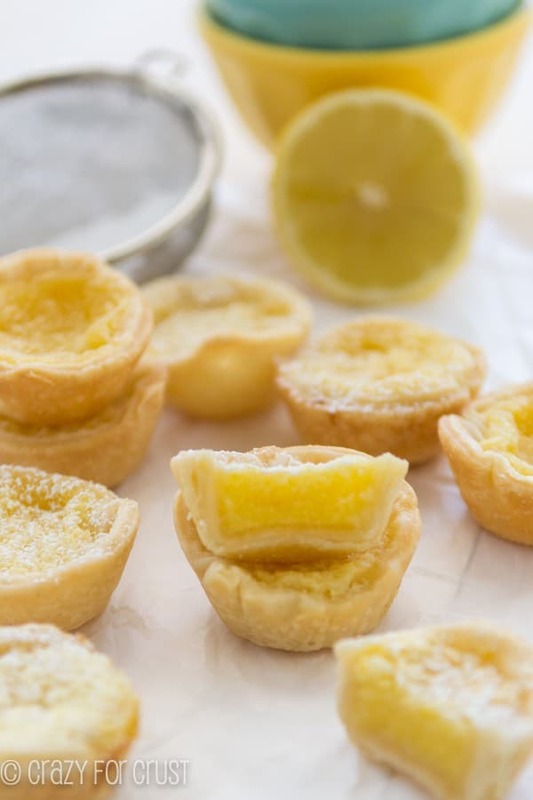 A few weeks ago Katie celebrated her birthday, and I made her mini lemon chess pies to celebrate. Kind of the best decision on my part ever, *pats self on back*. These were too good. I almost didn’t give them away! Use a mini muffin pan and spray them well with the cooking spray with flour. This ensures the pies will come out. Use a 2.5″ round cookie cutter (or jar lid or glass) to cut circles. Re-roll the dough as needed. Press each circle gently into each cavity. Be sure to chill the crusts while you make the filling. You want cold crust! And, well, if you’ve ever made a chess pie filling, it’s one of the easiest to make. One bowl and just a whisk – that’s my kind of baking. 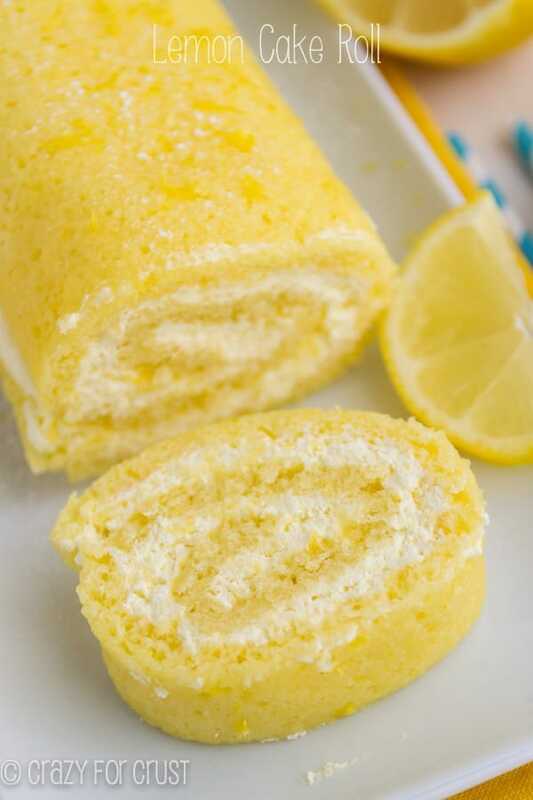 Eggs, milk, lemon juice, sugar, and a few other things get whisked together. One tablespoon of the filling goes into each pie, then you bake. It’s easy to remove these from the pans if you wait until they’re completely cool. Use the tip of a knife to help loosen the pie, and if you’ve sprayed the pans well enough, they should pop right out. Dust with powdered sugar, and try not to eat them all. I’d fail that one miserably! 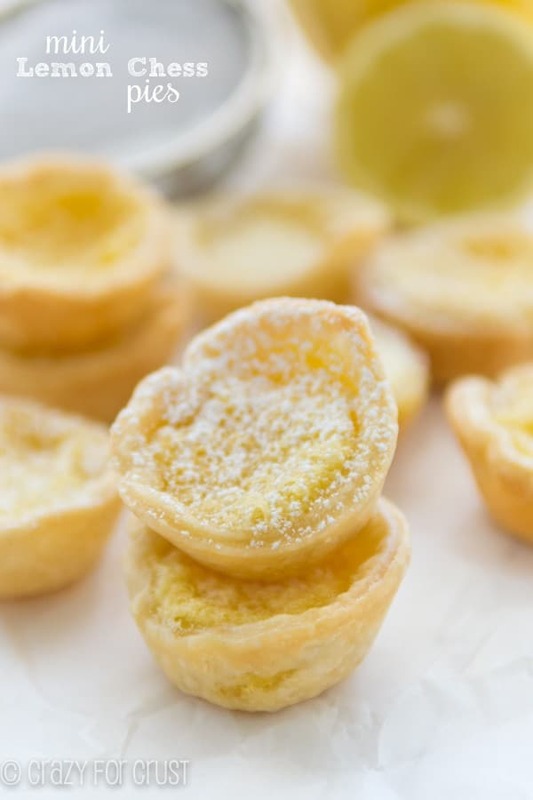 The perfect lemon chess pie...in mini form! Perfect for a party, these are super sweet and tart all at the same time. Preheat oven to 350°F. Spray 3 mini muffin pans with cooking spray. (I like the kind with flour in it for these pies.) This makes about 40-42 pies. Unroll your pie crusts and cut 2.5” circles with a cookie cutter or jar. Press each carefully into each mini muffin cavity. Whisk melted butter and sugar until smooth, then whisk in eggs until the mixture is a rich yellow, about 30 seconds. 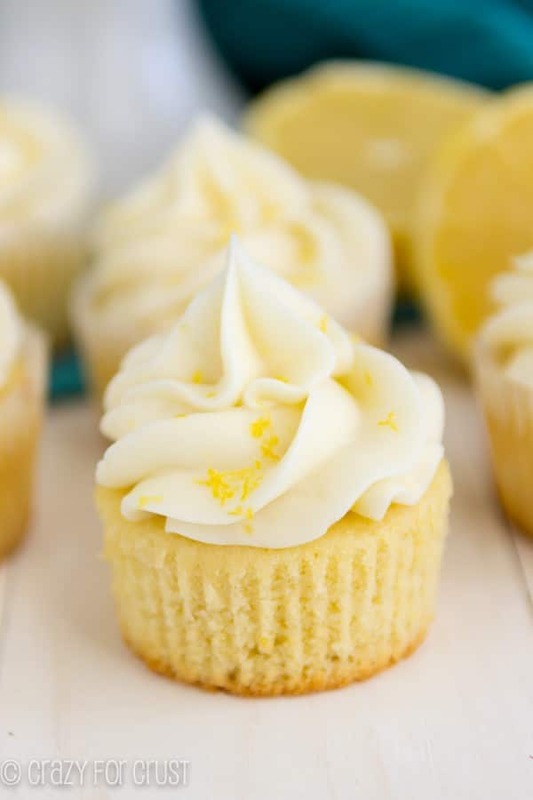 Whisk in the salt, lemon zest, vanilla, lemon juice, milk, and flour, one at a time, whisking until smooth. 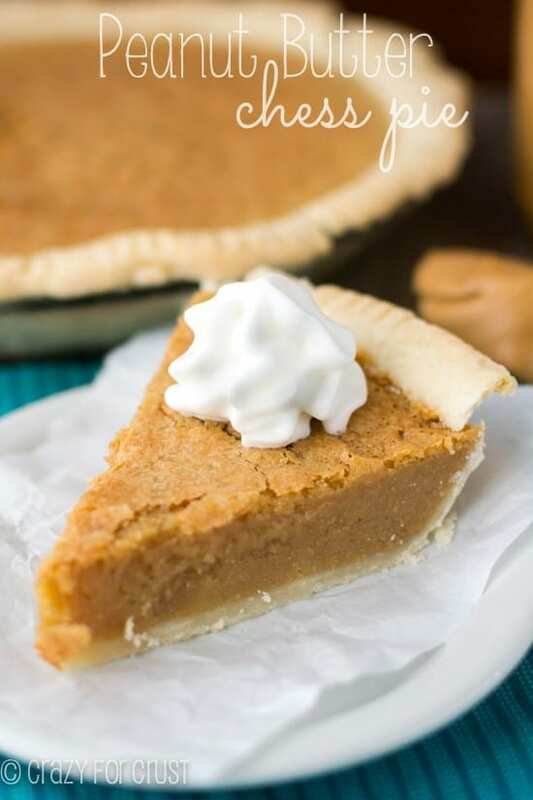 Fill each pie crust with 1tablespoon of filling. You may have just a bit of filling left over. Cool pies completely before removing from pans. They should pop out easily with the help of a knife. Dust with powdered sugar before serving, if desired. Can you make this in a slab pie for a large crowd?? How long do these keep? Do they need to be refrigerated?